The CMD5-M is the most advanced marine CO alarm on the market. Automatic generator shutdown capability available. When dangerous carbon monoxide levels are detected, the CMD5-M alarm shuts down the generator (if equipped with optional RCM-5 relay), a common source of CO. This detector also features multiple location warning, allowing up to six detectors to be relayed (linked) in series. When one CMD-5 alarms, all connected detectors will alarm to alert boat inhabitants in other locations to the presence of CO. Features a state-of-the-art sensor that is unaffected by common cleaning solvents. 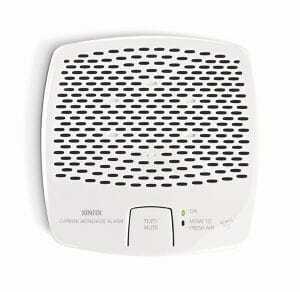 Use the CMD5-M carbon monoxide detector for single sites when generator shutdown is NOT desired. 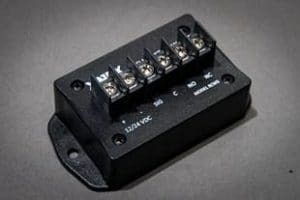 12 or 24 VDC operation. Features a state-of-the-art sensor that is unaffected by common cleaning solvents. Lowest current draw of any Fireboy-Xintex CO Detector. The CMD-4M-RLY may require two parts to replace it – the CMD5-MDI CO Alarm and the RCM5 Relay Control Module. If your CO Alarms are interconnected and you do NOT have generator shutdown, you can probably use the CMD5-MDI units and interconnect them. If your boat is equipped with generator shutdown you need the RCM5. Optional conversion plate for mounting CMD-5 Carbon Monoxide Alarms in places where larger CMD-3M or CMD-2M units were previously installed. This cover plate covers up unsightly wear or openings from previous installations.